Victoria graciously allowed me to write about Double-Edged Love to exemplify some of the ideas in the piece and to use pictures of her and Lisa’s work. Thanks to both of them!!! 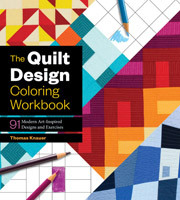 Have I mentioned that I love writing, especially about quilts. Yay words!!! So, if you haven’t already it’s time to dash on out and get your copy. Seriously, go do it. 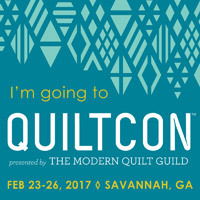 This entry was posted in general and tagged modern quilting, quilter's newsletter, quilting. Bookmark the permalink. You should be proud because it is outstanding! I am so looking forward to the next one, and the next one…and I am so happy that you DO love writing, since you do it so well! Thanks! Good luck with the rest of your packing and the move – that’s a long flight with two little ones!! Fingers crossed that the weather holds for your arrival and I’m off to check out your article. 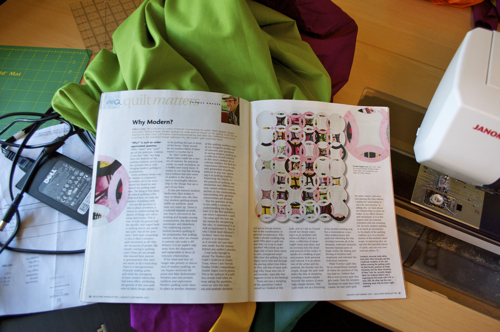 Just read the article in QNL; so glad someone is addressing the “why” of modern quilting. Idon’t entirely agree with you but I was fascinated by your comments about the double wedding ring quilt. I’ve thought a lot about the Why Now? (and it figures largely in a novel I’ve just finished and hope to eventually publish). 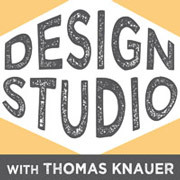 In a general way I think many younger quilters have been off put by the increasingly baroque complexity of the kind of quilts that are winning prizes in the big shows. I’m finding all the fussy piecing with applique added, embellishments, and extravagant long-arm quilting on top so saccharine they give me a stomach ache. 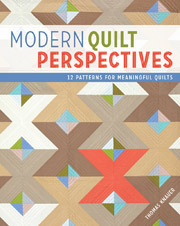 Modern quilts are totally refreshing, clean and simple with their clear colors. It had to happen, many people want quick results and don’t want to spend two years and more than $300 on fabric and quilting. I could get more philosophical about the sociology of how women lives today but that will do for a start. It’s an especially good sign that an old warhorse like QNL (which I’ve read almost since its beginnings) welcomes your thoughts. I’ll look forward to future articles of yours.